The young Mir Singh, a talented and hard working farmer, transforms the leased farmland. Now, the owner wants to sell it at a price the young Mir Singh could not possibly afford by the only means he had – the sweat of his brow. He has to move. Mir Singh, along with the infant Charan Singh, moves 60 kilometers north to a clan village Bhoop Garhi where the family lives till 1922. His brothers settle in yet another clan village Bhadaula, 20 kilometers south, both village in Meerut district. Charan Singh receives primary school education at Jani Khurd, 2 kilometers from Bhoop Garhi, where he walked each day. He is like any other village boy at home: helping out with household chores, cutting fodder for animals on the hand-powered gandasa, playing kabaddi. The village school’s capability is limited, and the quick-learning Charan Singh is moved 15 kilometers away to Meerut in Moral Training School for a year, after which he moves to Government College, Meerut in 1914. In the ninth grade he opts for Science, also shows an interest in English, Economics and History. The programs and personalities of Swami Dayanand Saraswati and Mahatma Gandhi simultaneously influence the teenage Charan Singh. 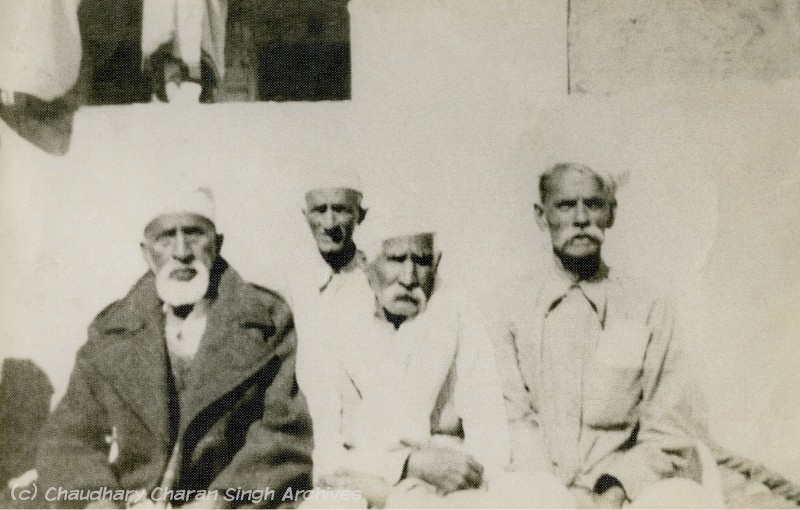 His eldest uncle Lakhpat Singh is especially fond of the studious and promising Charan Singh. He came to know that his favorite nephew’s studies would be stopped due to his fathers’ inability to fund it, and he commits to pay till the young Charan Singh completes his studies.